State Rep. Sherrie Sprenger (R Scio) and Roman Gillen, CEO of Consumers Power Inc., have much in common. Both leaders are relentless advocates of a prosperous rural economy, each possessing a laser focused determination to fight for those they represent. They are the same age, and rose to their current positions from unusual paths. And despite their prominent roles, it is hard to find someone in their orbit who doesn’t say they are the most earnest people around. There also is a connection beyond the overlap of Sprenger’s legislative district and CPI’s service territory. CPI, headquartered in Philomath, has 22,000 members spread throughout six counties. The 3,500 square mile service area, which stretches from the foothills of the Cascades to the Oregon Coast, has member owners that include farmers as well as college professors from Oregon State University. For the past 15 years, the membership list has included Sprenger, one of the highest ranking Republican members of the Oregon Legislature. 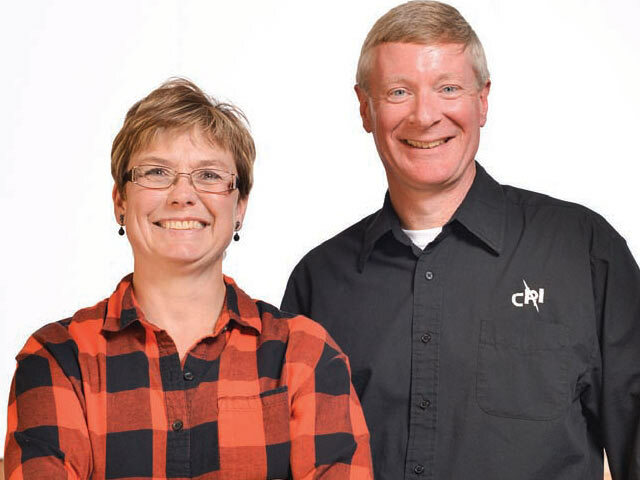 “I absolutely love CPI’s service,” Sprenger says. Rep. Sprenger is a former deputy sheriff, having served in Grant and Benton counties. “They do an outstanding job.” Service—of the public kind—is something Sprenger knows about. 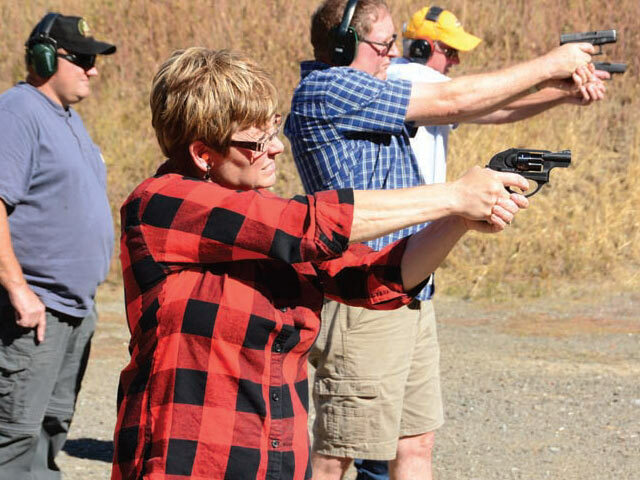 Long before she was appointed to represent House District 17 in 2008, she had a distinguished career in law enforcement, serving stints as a deputy sheriff in both Grant and Benton counties. She traded in the cut and dried world of enforcing laws for the messy process of making them. While the names of the small towns in her district may seem to be out of central casting in a Richard Russo novel—Mill City, Sublimity and Waterloo, for instance—they are populated by hardworking Oregonians who often feel disenfranchised in the state’s pronounced ruralurban divide. “Sherrie understands her constituents and our members,” says Gillen. “And she’s not afraid to take on the tough issues.” Rachel Kloor, who served as a staff member for Sprenger in the Oregon Legislature, saw firsthand her advocacy, along with her sharp wit. Gillen, a soccer loving native of Toledo, Oregon, became a utility CEO through a similarly unconventional route. In a profession dominated by engineers and accountants, Gillen rose through the ranks after starting in the information technology side of the business. He can speak the language of substations and voltages, and his humble, friendly demeanor belies a decisive leader who is not afraid to make tough choices of his own. The so called economic recovery has yet to find every corner of Sprenger’s district, and she believes policy coming out of the Capitol and from the initiative process threatens to stymie job growth. She opposes Measure 97, a high profile tax measure advanced by labor organizations that is on the ballot this fall. The most negative impact of Measure 97, Sprenger says, will be felt more by the small businesses than the prominent name brand Oregon companies that are the face of the opposition. Sprenger also is concerned with regulations that hamper small businesses and innovations that are met by environmental roadblocks—policies often driven by those who appear a galaxy away from her small towns. But she is realistic enough to know that success in the 2017 Legislative Assembly may be simply holding the line against more regulations. It is a skill she has honed after serving most of her tenure as the minority party. “Sherrie has a unique ability to explain how urban driven policy affects rural Oregon,” says Kloor. Gillen agrees that environmental policies—particularly those levied at a cooperative that emits virtually no carbon—makes his job harder. Moreover, CPI’s growth has been largely flat since the recession of 2008, though they have seen some growth in more densely populated areas that have grown into CPI territory in places such as northwest Corvallis. With energy policy always at the forefront of the Oregon Legislature, Gillen can be found making the rounds with his stable of legislators, including Sprenger. Gillen will require all his board’s skills and his vast experience to navigate a tricky power supply situation with CPI’s historical supplier: the Bonneville Power Administration. “We’re concerned with BPA’s competitive position, and we’re challenging them to keep a healthy power system,” Gillen says. Beyond their likeminded agenda, affable personalities and immense challenges, both Gillen and Sprenger have something else in common: a sense of awe that they sit in the chairs they do. Gillen still expresses appreciation that a “kid from Toledo” could get the opportunity of a lifetime to run a large, influential organization such as CPI—for him a career equivalent of playing premier league soccer. And Sprenger never takes for granted how her constituents count on her to be their voice in the state Capitol.